A rising number of Christians are beginning to believe the New Testament, somehow, corrects the teachings of the Old Testament. While the Old Testament is incomplete without the New Testament, the Old Testament is not, therefore, incorrect. It is not as if God thought one way for a period of time, and then realized He was wrong. The Old Testament must be understood Christologically, or through the lens of Christ, in order for us to fully understand God’s Words. 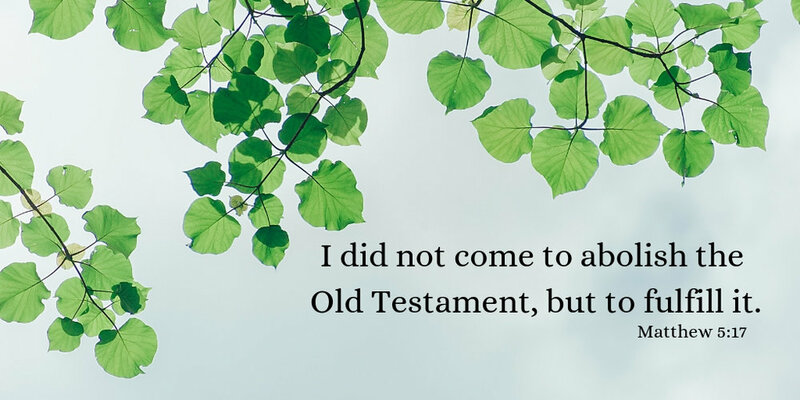 Jesus explained when he said, “I did not come to abolish the Old Testament, but to fulfill it” (Matthew 5:17). There is a difference. Matthew 22:35-40 is a great example of the connection between the Old and New Testament. Jesus said we should love God with everything we are and have, and love our neighbor as ourselves. If we fully love God and others, then we will not have other gods, make idols, take God’s name in vain, neglect the sabbath, dishonor our parents, murder, commit adultery, steal, bear false witness, or covet. This command does not dismiss or diminish the Ten Commandments, but is, instead, the foundation of the Ten Commandments. Sadly, many believe that following the dictates of love in the New Testament prevents them from living according to the Laws from the Old Testament. However, if we truly love God and love others, we will live obediently to the standards of righteousness and love that is expressed in the whole Bible, not just in one section. This was expressed in Jesus, who always embodied perfect righteousness and love. He is both, the payment for our sin as well as the eternal Judge of our sin. All 66 books of the Bible are faithful and true, and testify of Jesus Christ, the perfect revelation of the One Eternal God. Newer PostSee the Need. Meet the Need.